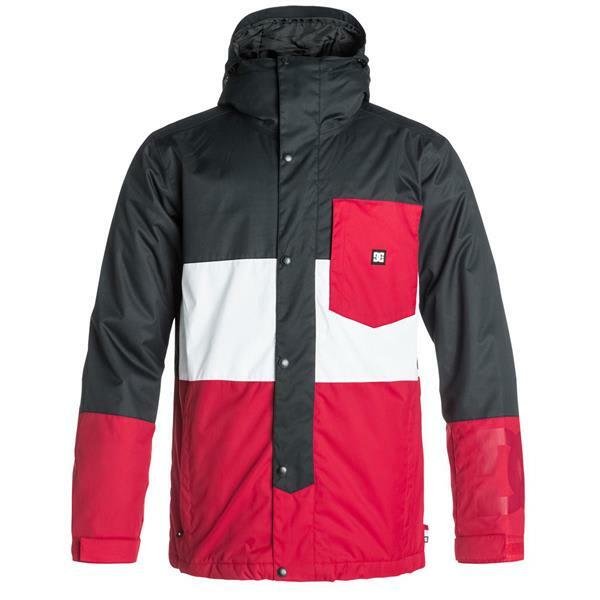 Durable weather protection and bold, asymmetrical style make the DC Defy Snowboard Jacket for men the right pick no matter where you day may take you! Designed with EXOTEX 10 waterproof and breathable technology and critically taped seams for the best in protection against falling rain and soggy snow, the Defy is also packed full of insulation to keep you nice and warm when the temperature heads for the basement. Mesh-lined vents make it easy to regulate your temperature on the go when the sun comes out or the ride heats up, and the attached hood is adjustable for comfort. It look's as advertised, as always the-house.com is the cheapest around. I looked on Amazon first due to having Amazon Prime (2 day shipping) but the-house had it for over 50$ cheaper than they did. Matches all my gear and satisfied with the purchase! Son loves the color and all the pockets and features. Was fraction of his budget so he ended up getting some other goodies too! I liked the color and style. I hope it works well functionally. Great price! Is the color red or pink? 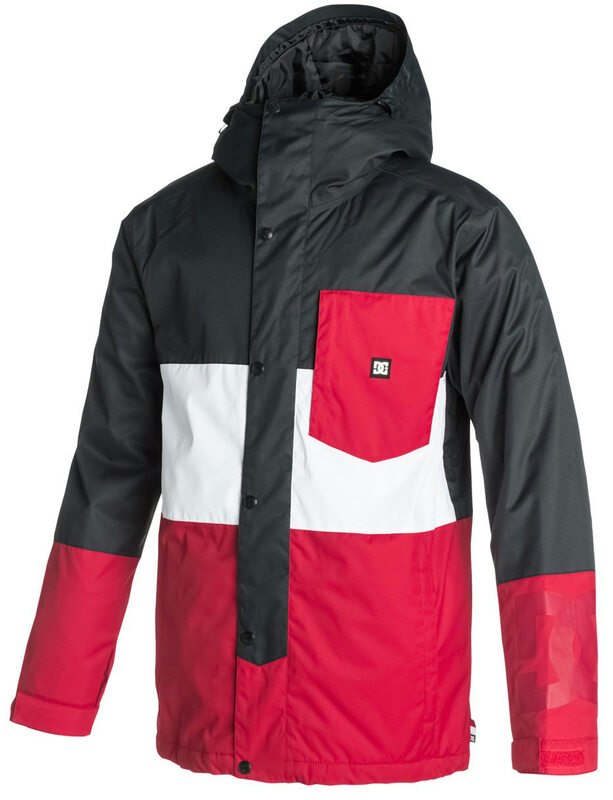 BEST ANSWER: Hi Mollie, this jacket features a shade of red that DC describes as, "Tango Red"
Is this a Men's women or kids jacket? 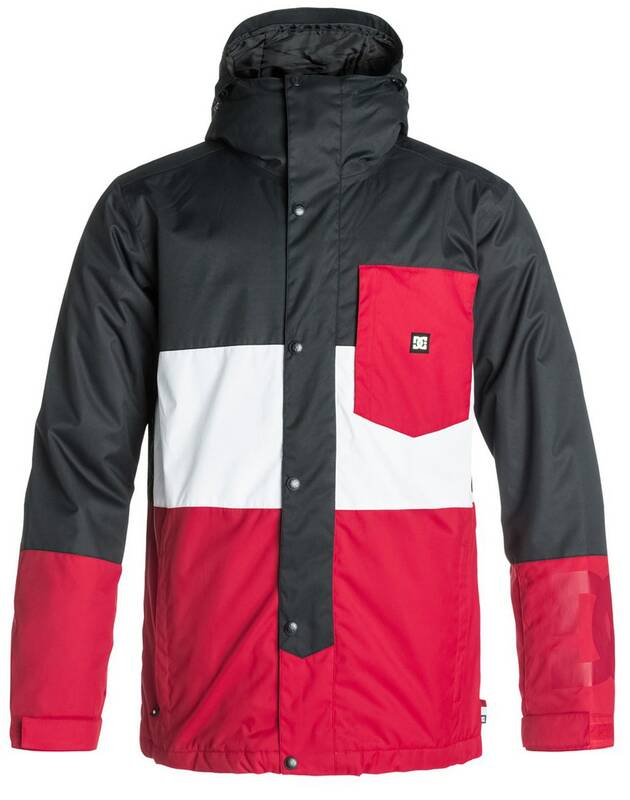 This Defy Jacket is officially a Men's jacket, and the sizing will reflect that. men's and I bought it for myself. It looks masculine. I measured my chest and waist, and im right on the border of M and L. I don’t want a jacket that hangs off me, but sometimes i like to wear a thin hoodie underneath. Stay Medium or go to Large? Is a thin hoodie good under a medium? BEST ANSWER: Would you rather have a jack be a little snug or a little loose? If snug get the medium, if loose get the large. I tend to go a little larger because it's nice to have extra room and wear a thicker mid layer if the weather gets really cold. I'd bet that you'll comfortably fit a thin hoodie under a medium if you're on the M/L boarder. BEST ANSWER: Yes, it has a hood. what pants are the exact same red? I think these Banshee pants are the exact Red color you seek: http://www.the-house.com/dc4ban02an16zz-dc-snowboard-pants.html I can guarantee the Anthracite (gray/black) color is a perfect match.